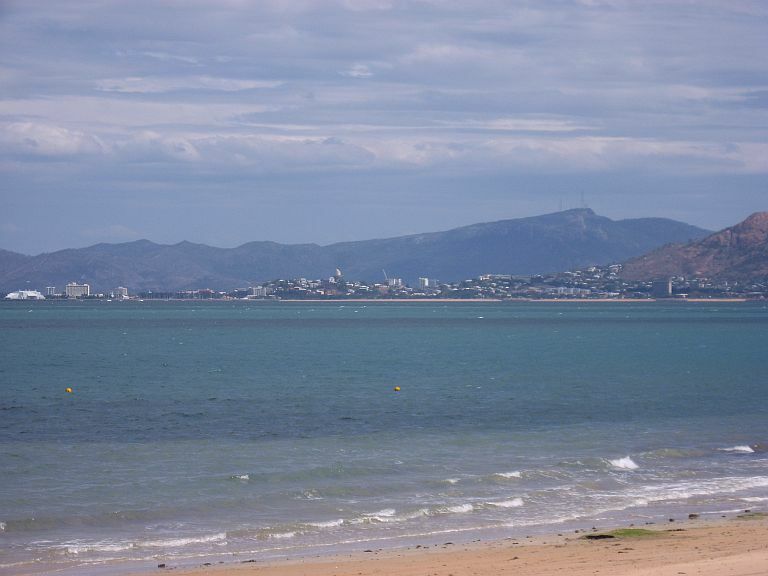 Townsville just keeps getting better, ask Bungy or Peter ‘Pincher’ Martin from the Townsville Sub Section – come and join them, they are looking for new members for the Sub Section. This is how they were when I located them in the local club. 2018 Battle of the Coral Sea Dawn Service. Some distinguished guests. 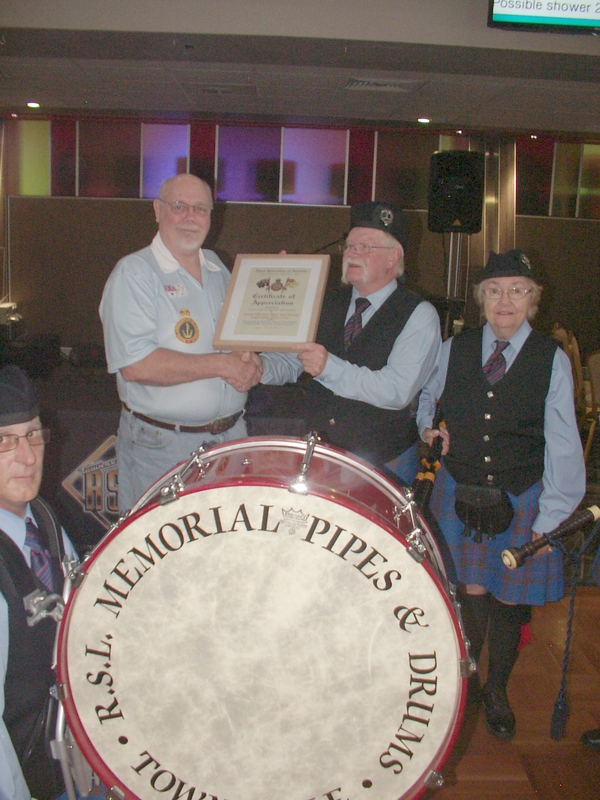 President Bungy Williams presenting "Certificate of Appreciation" to the Townsville RSL Pipe Band for all their assistance. 2017 Christmas Party. We welcome attendance by the Ladies to all our Social events. 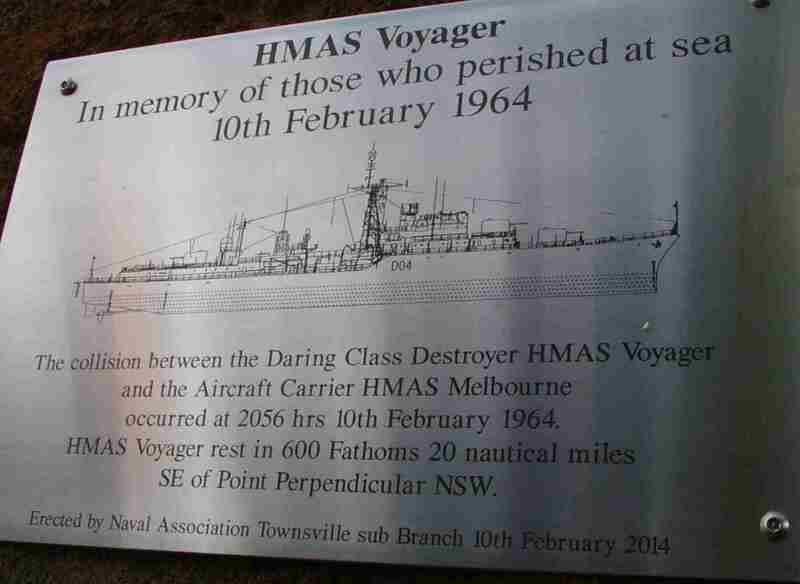 On the 10th Feb 2014, We dedicated a Memorial to the HMAS Voyager. This is located in the Maritime Museum of Townsville. The plaque for the HMAS Voyager Memorial at the Maritime Museum of Townsville. 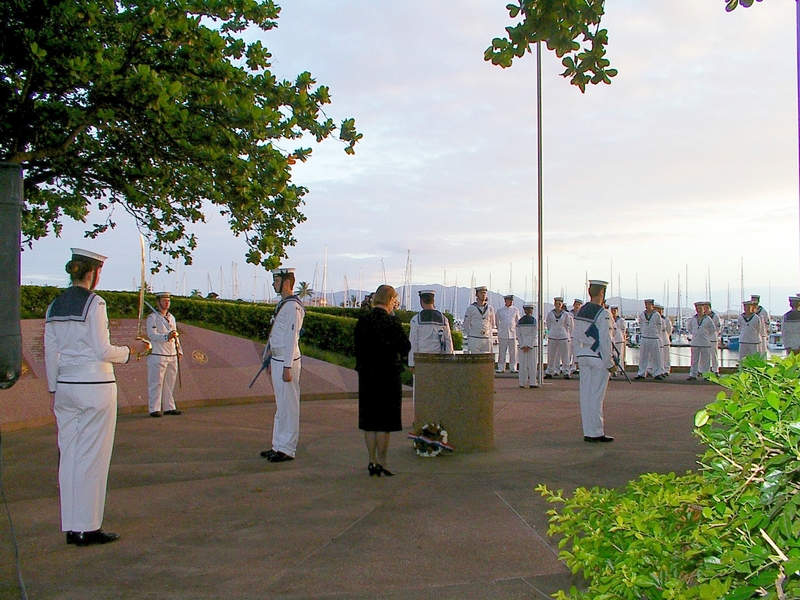 We conduct a Dawn Service every year for the Battle of the Coral Sea, in May. 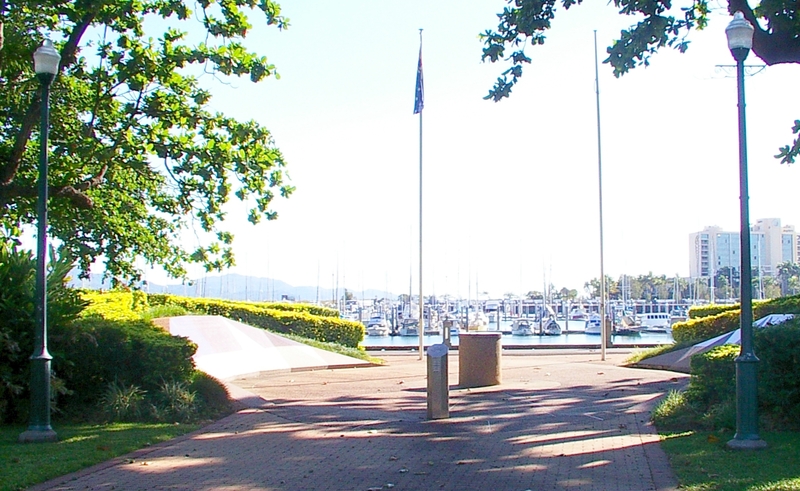 When inTownsville make sure to visit the Memorial located in ANZAC Park, The Strand, Townsville. ex HMAS Townsville ( Sept 2018 ) - present moorings with Castle Hill in the background.